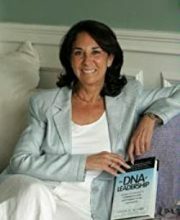 In Conversational Intelligence, Judith Glaser has written an impressive book which identifies the power of conversation in creating positive organizational climates. What makes this book so impressive is the provision of unequivocal science to support the importance of having productive conversations in the workplace. Judith has structured the book to take the reader from understanding why conversational intelligence is required to build an environment of trust, through learning how we can bring the right conversations to life, and concludes by identifying how to maintain this new level of conversation amongst teams. The amount of information and Judith’s pragmatic and practical ideas on how to implement constructive processes to support the right type of conversation is incredible. "The things we say, the things we hear, the things we mean and the way we feel after we say it may all be separate, emerging at different times... When what we say, what we hear, and what we mean are not in agreement, we retreat into our heads and make up stories that help us reconcile the discrepancies." Trust is a key factor for helping people connect with each other through conversation. Each of us has neurochemical reactions to others: we can feed off another person’s energy and they feed off ours. This means that we often make snap decisions and assessments about the person we are talking with and involves identifying whether we think we can trust them. Our assumptions about the other person can be influenced by our old memories about the individual, ideas, beliefs or other things we make up, while trying to identify whether we can connect with each other and create shared additional value and benefit from the conversation. This can happen within 0.07 seconds, and this decision can heavily influence the nature of the conversation. If we trust the person we feel safe and so able to share our views more candidly. Where distrust is involved, we can shut down and operate based on our assumptions. Level 1: Transactional – people are exchanging information, updates and facts that help us confirm if we are on the same page. There is not a lot of trust and people are focused on what they need to get from each other to confirm and validate their own perspectives. Level 2: Positional – here individuals are advocating for what they want and are seeking to ascertain whether they can influence the other individual to share their perspective. Trust is conditional which can raise the levels of uncertainty thus triggering the fear neurochemical networks. Level 3: Transformational – individuals conversing at this level seek to share their views and learn more about the perspectives of the others they are talking to; this leads to individuals working together to co-create and achieve greater shared success. "Conversations are ‘rituals’ we embed into our culture and our relationships, and which give us a way to successfully structure our engagements with others… each ritual has a place and each enhances or impedes communication and engagement… Conversational rituals are what we do when we talk." Glaser identifies that our conversations can be structured in ways that support the development of shared trust and enabling success and introduces the concept of changing existing rituals for new ones that can facilitate better conversations. These conversations are ones where individuals respect and care about the other person’s perspective to lead to co-creating conversations where ‘both people are transforming each other’s thoughts, ideas and belief systems’ (63). Individuals are creating a shared sense of reality rather than trying to persuade the other person to see and agree with their point of view. Assuming others see, feel and think about the situation exactly as we do, preventing us from trying to understand it from their perspective. Failing to realize that fear, trust and distrust changes how we see and interpret reality. Being unable to see something from someone else’s point of view if we are fearful or upset about a situation. Assuming we remember what others say, we actually remember what we think about what others say. Assuming that meaning resides in the speaker, when it resides in the listener. "Change brings with it uncertainty, and uncertainty triggers fear. As leaders learn to reduce fear and increase trust within their organizations, they lay the foundation for higher level conversations, where opportunities for greater innovation, collaboration, and success are revealed." Change is a constant and vital for organizations seeking to maintain their sustainability now and into the future. It makes sense that successful leaders are those who can bring their people with them and who can encourage their people to help them create the brave new world that might be required. Encouraging your organization’s leaders to lead with level III conversations is Glaser’s answer for how you can achieve successful and effective leadership in times of change. Too often, leaders take a telling and selling approach rather than working with their teams to co-create the future. Without trust, teams become fractured, and leaders have to work much harder for buy-in an alignment. When trust has been established, teams are unified and working together, and are much better equipped to handle change. Glasers’s book provides the framework for creating trust in conversations, along with the scientific evidence which supports the need for level III conversations. This book is a must read for anyone seeking to create a positive and productive environment, both at work and at home.